There are so many opportunities to give back and teach your Salesforce, Pardot, and Marketing Cloud skills to the community. As experts, it's our responsibility to pay it forward. When did you first learn about Salesforce? My first job out of college was as the one-woman marketing department for an insurance brokerage in Milwaukee, Wisconsin. They were a Salesforce customer but didn't have an admin. I was handed that as one of many hats to wear, and after attending Dreamforce in 2011 I totally caught the Salesforce bug. Without exaggeration, attending Dreamforce was truly a pivotal moment in my career trajectory. 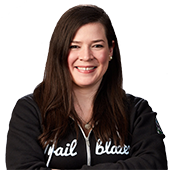 I had known I wanted to focus on marketing, and when I saw all the amazing things other marketers were doing at Dreamforce, I knew that the platform would give me the power to build crazy cool marketing strategies. Was Dreamforce 2011 also when you first learned about Pardot? Yes! I met with a bunch of consultants at Dreamforce and learned about a bunch of different marketing automation tools that existed at the time. After my unofficial vendor evaluation, I decided to go with Pardot and implemented it in the fall of 2011. I've been hands-on and logged into both Salesforce and Pardot basically every day since. There are so many opportunities to give back and teach your Salesforce, Pardot, and Marketing Cloud skills to the community. As experts, it's our responsibility to pay it forward. 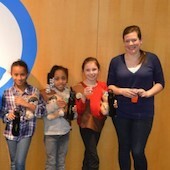 One of my favorite experiences was volunteering to help Girl Scouts learn Salesforce skills with the Build a Lemonade Stand App project (read all about it on the Trailhead Medium blog). I also helped teach Trailhead at a women's shelter through a program that Karla Coop, a Trailblazer here in Atlanta, runs every six-weeks for women in need. It is a wonderful experience to show women, whether they are young scouts or adults, a set of skills that can help them get a high paying and interesting job. I also love to speak at the community-led events, a.k.a. the Dreamin' events. So far I've presented about Pardot at Texas Dreamin', Southeast Dreamin', and Midwest Dreamin'! I've also volunteered for Open Office Hours and to speak about marketing automation at local user groups. How do you recommend that others learn Salesforce and Pardot? 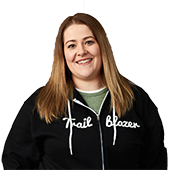 I wish Trailhead had been around when I first started learning Salesforce and Pardot. 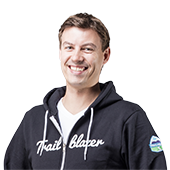 Trailhead is the number one learning tool I suggest to my customers for learning both Salesforce skills and to get started on their Pardot marketing skills. In particular, there is a whole trail for learning Pardot that I suggest so often that I have it bookmarked in my browser. Automate Marketing to Businesses with Pardot. 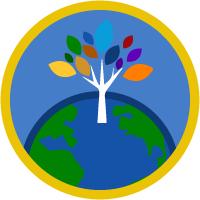 Trailhead allows you to improve yourself, your career, your company, and your community. 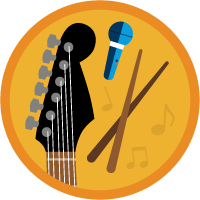 Did you have any “a-ha!” moments because of Trailhead? Oh, definitely. I had to help market an app my previous company offered in AppExchange and if it wasn't for the AppExchange Partner Business Planning module I would have been less prepared to understand the business of marketing an app. The app itself was hard to give an “elevator pitch” for to customers, it was a spreadsheet overlay for Salesforce, so we were looking at packaging it for different use cases such as forecasting and campaign call-down programs. The module taught me how identify our total addressable market and how to benchmark against the competition...those sorts of big-picture business concepts. 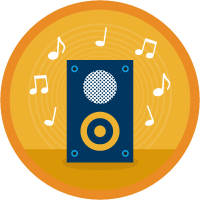 I had not come across that information anywhere else, at least not in a way that was as easily understood as the Trailhead module. It was a valuable resource I shared with my team. 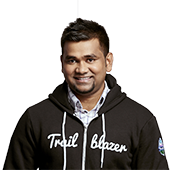 What tips do you have for new Trailblazers? L.O.T.C - Lean on the community! Not only can you make friends, but you can do things like discover how other companies have built out their email nurture in Pardot or how they make sure the Sales and Marketing departments are handing off leads successfully. Why try to figure it all out yourself when there are so many experts willing to help? How many certifications do you have? What is your bucket list trail? 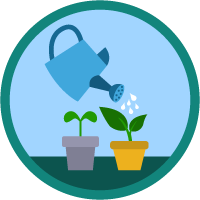 Trailhead is a resource I can confidently point anyone toward, knowing they will get the support they need to start learning. 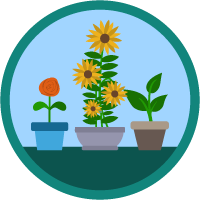 Trailhead has been my diving board into mastering the depth and breadth of the Salesforce platform. Co-leading the Developer User Group in Munich has been such a rewarding experience for me.